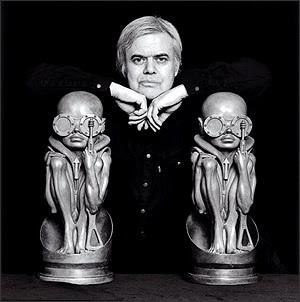 Giger is one of those artist that leaves no one indifferent. 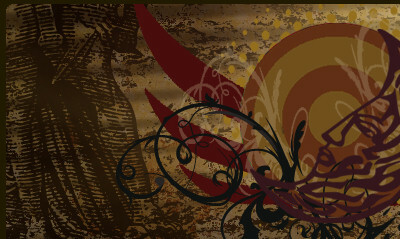 His style is surrealist, Gothic, very close to the universe that Lovecraft described in his stories. He defines it as bio-mechanical. Hans Ruedi Giger was born in Chur (Switzerland) in 1940. Since he was a child he felt attracted by the night, the mystery that dark places emit. Early, he began to wear in black. His favorite place of his home was always the darker place. Years later, he called his workplace "the dark room". He studied architecture and industrial design, and for some time he worked in interiors design, but since 1968, he was devoted to art. He did several album covers and in the 80s he met Deborah Harry (Blondie), a punk muse. 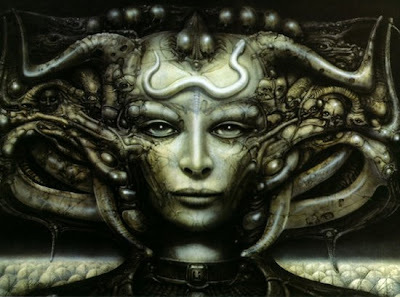 Giger did an album cover for her in which Deborah was pierced by acupuncture needles. This cover surprised many people, because it was a surrealist work with an horror touch, and call the attention of many to the artist that made it. In 1977 he did one of his most important works, that brought him to fame: the design of the extraterrestrial creature Alien, and some of the scenarios of the movie. He also took part in Species, and other movies like Poltergeist and Batman Forever, amongst others. His esthetics, his fetishisms, made him a very influential artist. His books of illustrations are famous best-sellers. 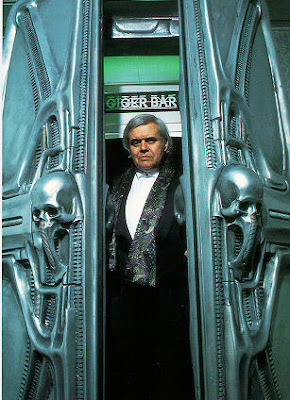 Giger has a museum devoted to him in Switzerland, in the city of Gruyeres, and a pub, the Giger Bar, which is a mandatory destination for all his fans. 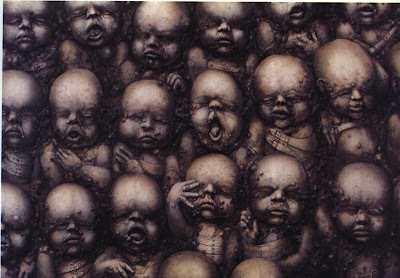 But Giger is not only a brilliant illustrator. He is also an amazing sculptor, a very original interior designer, who fills each of his works with an unmistakable mysterious halo. And all this turns H. R. Giger into one of the most important fantasy artists in the world. 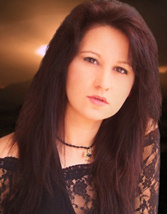 Oh my Gosh Susanne!!! What an incredible experience! Many people, me included, may enjoy very much too in a dinner with such a great genius.